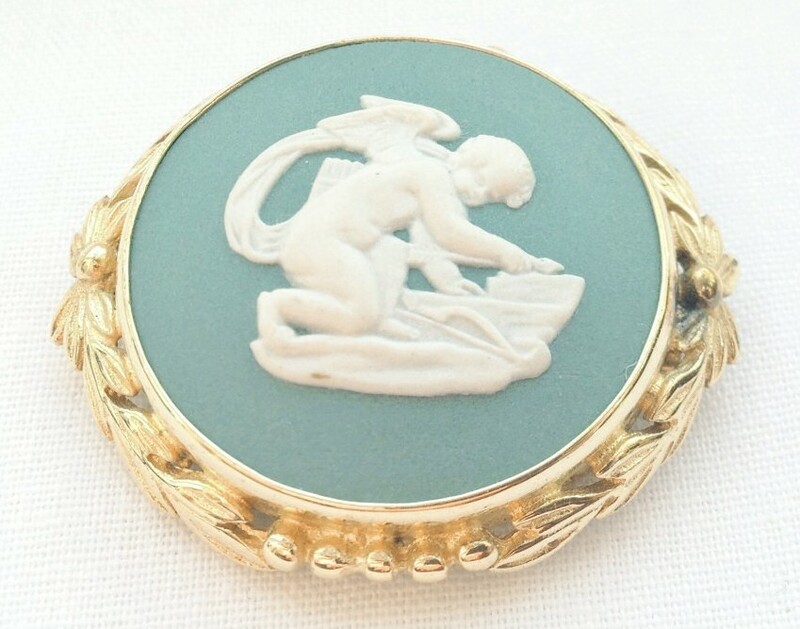 A Wedgwood teal green Jasperware brooch with a white bas-relief depicting Cupid sharpening his arrows set in a gold coloured decorative mount. 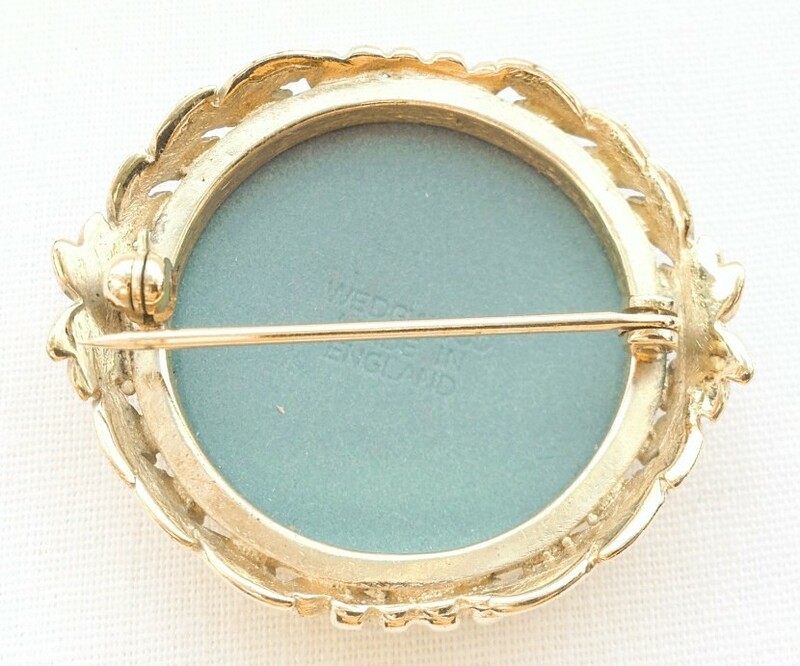 The brooch measures approximately 35mm in diameter. 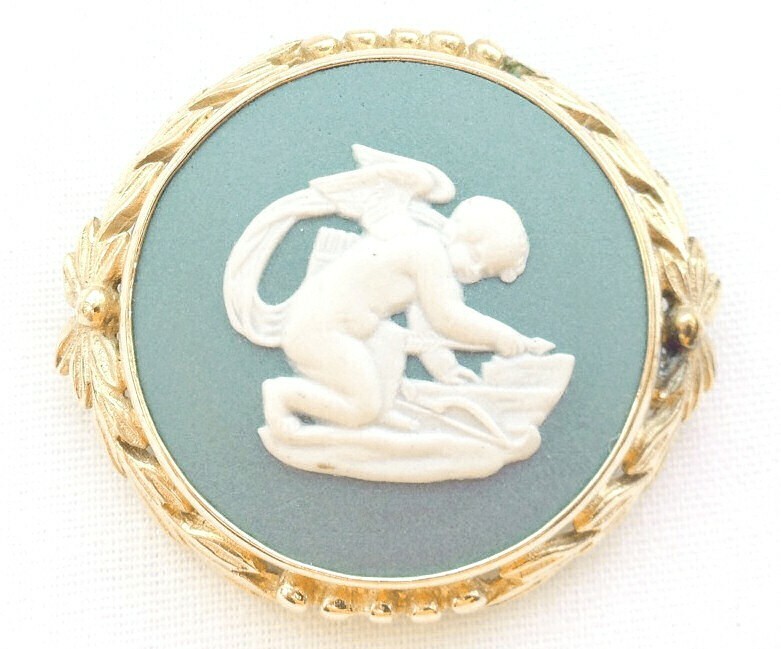 The brooch has been previously owned but is first quality and is in very good condition.